July 13th guest speaker was Shari Chang, Chief Operating Officer of Girl Scouts of Hawai'i Council which will be celebrating their 100th anniversary in Hawai'i. Kamehameha School for Girls teacher, Florence Lowe, organized the first official Girl Scout troop in the Hawaiian Islands based out of Honolulu. This Council is the oldest council west of the Mississippi. 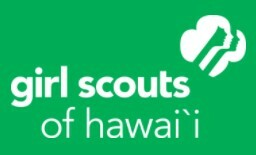 Today's Girl Scouts of Hawai'i are focused on Leadership Development, Community Service Projects, Environmental Preservation Programs, STEM (Science, Technology, Engineering and Mathematics), Career Development, Financial Literacy and Entrepreneurship, Outdoor Experience, and After School Outreach Programs. We'd like to add, "Girl Scouts Cookies" to this amazing list!